The Big Lebowski is an awesome movie, and that is a good enough reason to break out the good old pencil and paper and work on a little fan art. That's what I did last year, and this was the result. I did this in a time crunch, so I used a very simple coloring technique, to mimic the style and look of an old, worn out comic. 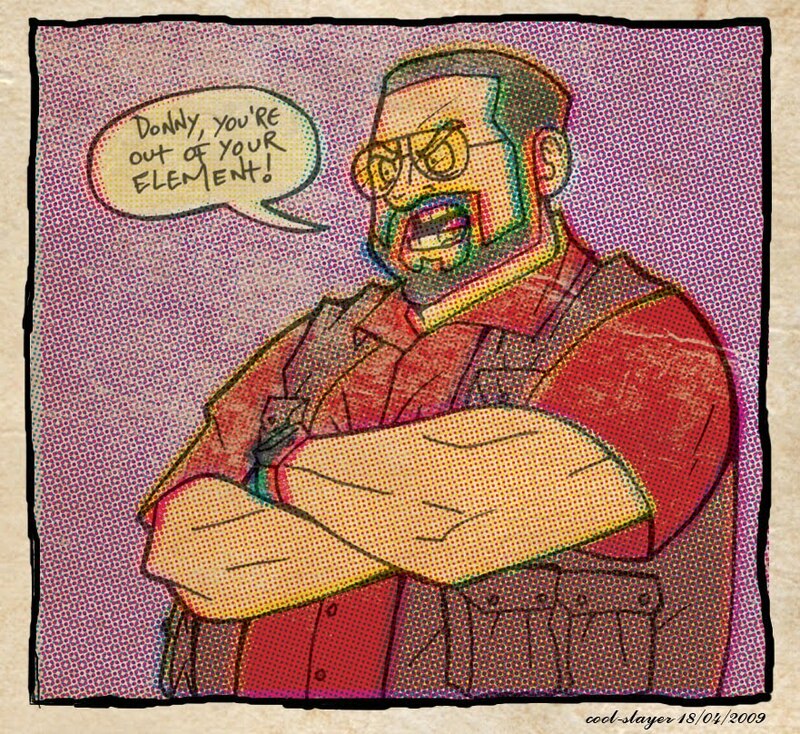 I have to do a more elaborate piece dedicated to the Dude and the rest of the awesome cast of characters this movie has, but, for now, here's Walter Sobchak keeping you company. Enjoy!